THE RAVEN SQUADRON – Led by the mysterious and cunning ace known only as The Raven. These sky pirates are the scourge of the air and shipping lanes all around the globe - feared for their fierce and daring raids from Soerabaja to Saskatchewan." 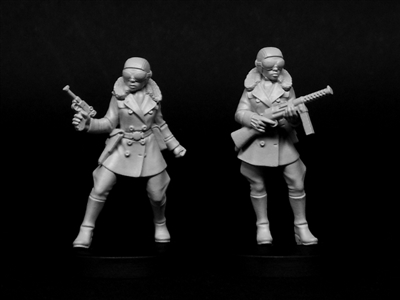 Two finely detailed 28mm metal figures and 2 free Pulp Alley character cards. Copyright © 2013 Pulp Alley. All Rights Reserved. Built with Volusion.